TORONTO (October 9, 2012) – The National Hockey League Players’ Association (NHLPA) is pleased to announce that it will honour its commitment to hockey fans in Stirling-Rawdon, Ontario, and will proudly participate in the Stirling Minor Hockey NHLPA Day on Saturday, October 13, 2012. NHL players will be helping out with coaching, drills and scrimmages for an entire day of Stirling Minor Hockey team practices. 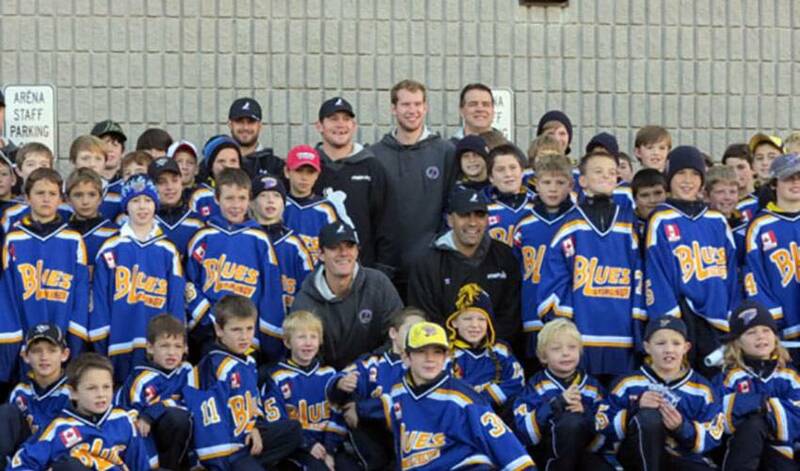 “The local rink is where it all began for so many of us and the chance to get back and revisit our hockey roots is special,” said Matt Cooke, NHLPA member and Pittsburgh Penguins forward, who grew up playing minor hockey in Stirling. Cooke will be joined by fellow NHLPA member Brad Richardson of the Stanley Cup champion Los Angeles Kings, and other NHLPA members to be named at a later date. For most of these young players, this will be their first time on the ice receiving skill development tips from NHL players.